The organizers of the Mystery Writers Key West Fest have announced that authors and aspiring authors may compete for the inaugural Jeremiah Healy Mystery Writing Award by submitting the first three pages of a finished, unpublished manuscript. One winner will claim a book-publishing contract, free Mystery Writers Key West Fest registration, hotel accommodations for two nights and a captivating bobble-headed Jerry trophy. Sponsored by Absolutely Amazing eBooks, the award salutes the author's legacy as an influential mentor credited with helping and advising many aspiring writers. Candidates wishing to compete are invited to submit the first three pages of a finished, unpublished manuscript no later than June 30th, 2015 to [email protected] as Word attachments. There is no fee to enter, finalists will be notified August 1st, and will have until August 10th to submit full manuscripts. "Jerry Healy was a terrific mystery writer and a good judge of mysteries," said Shirrel Rhoades, co-founder of Key West Writers Bloc, producer of the Mystery Writers Key West Fest. "Jerry often said a book either captures a reader in the first three pages … or it doesn't. We agree and have decided to use that as a yardstick for a writing competition in Jerry's honor. He helped us get the first Fest off the ground, and this way we will keep him as a part of it in future years." Mystery Writers Key West Fest will be held August 14th through 16th, 2015 in Key West, Florida. Price: $1.99 (as of 04/30/2015 at 8:00 PM ET). Four college students believed they were making a statement. They were activists, fighting to preserve the environment by burning down a new apartment complex. But they didn't realize that someone was watching. A blackmailer hides in plain sight, using people's secrets for personal gain, and when this criminal sets his sights on the four young arsonists, he begins his most deadly game yet. Firefighter David Hunter is devastated when he's too late to save a teenage girl from a Minneapolis fire. 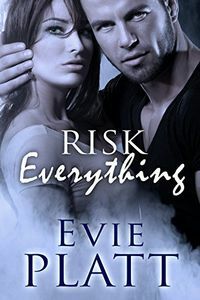 Authorities soon discover that it was a case of arson and homicide detective Olivia Sutherland and her partner Kane are assigned to the case. David and Olivia shared a night of passion some time ago, and sparks fly when they are drawn to one another again. 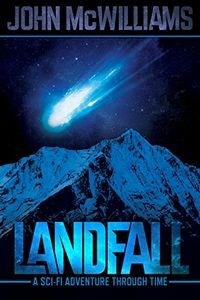 But just as they begin to revisit that fateful night and address the events that tore them apart, David and Olivia are forced to pursue the blackmailer, whose horrific plans threaten to destroy those closest to them. Price: $2.99 (as of 04/30/2015 at 7:30 PM ET). 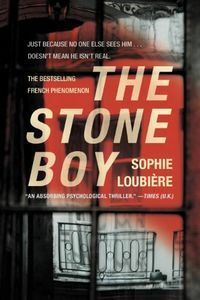 Winner of the 2011 Prix Lion Noir for Crime Fiction. When Madame Préau returns to her own house outside Paris after several years spent in a convalescent home, she immediately notices that the neighborhood has changed. Now, instead of a beautiful garden next door there is a new house. And she can see directly into her new neighbors' windows. Madame Préau quickly feels that something isn't right. Her neighbors have two perfectly healthy children who play in the yard after school. But there is also a third child: a young boy who looks malnourished and abused, and tosses small stones at her window in an apparent call for help. The family denies his existence. But is the little boy real, or merely a hallucination of a lonely, mentally unstable old woman cut off from her own beloved grandson? Price: $2.99 (as of 04/30/2015 at 6:30 PM ET). 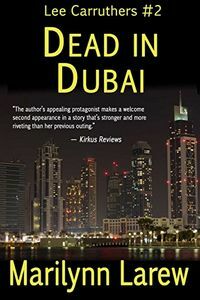 Lead had already begun to fly before former CIA analyst Lee Carruthers could get to Dubai to investigate the death of George Branson, and each question she asked ratcheted the danger up by a notch. She knew George. He was a CIA officer, but she discovered that he had other identities as well. In Dubai he was Gil Brady, and he worked for the Russian merchant of death Sergei Malyakov. In Istanbul he was Karl Spiegel, and he worked for Belarusian arms dealer Felix Gringikov. He might have been collateral damage in the war between Malyakov and Gringikov for control of the post-Soviet arms trade, but Lee had to determine if Branson still worked for the CIA when he was killed or if he'd sold out and if so, to whom. She had to answer that question quickly, before she was sent on a one-way trip to Karachi. See also the first mystery in this series, The Spider Catchers, for $2.99 on Kindle. Price: $3.99 (as of 04/30/2015 at 5:30 PM ET). Jack Lilburne, governor of Conyhall Young Offenders' Institution, is generally regarded as a pillar of his community. He has a respectable job, a beautiful house and a close-knit family — and he's recently been awarded an OBE. So it's shocking and puzzling to everyone, not least Superintendent Gil Mayo and the rest of the Lavenstock police force, when Jack is killed by a car bomb on his own front drive. Initially, it seems that several of the ex-inmates with whom Jack worked could be suspects. Soon, however, it becomes clear that there's more to the case than a young offender with a straightforward grudge against the governor. 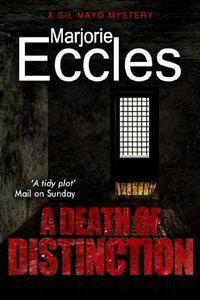 When a second victim is discovered, similarities to a historical murder case become obvious. Price: $4.99 (as of 04/30/2015 at 4:30 PM ET). Vicky Dodds — single mother, commitment-phobe, Detective Sergeant — is adding Dundee, Scotland to the Tartan Noir map. But as the crimes escalate, and the attacker's message becomes clearer, Vicky begins to question where her own sympathies lie. Price: $2.99 (as of 04/30/2015 at 4:00 PM ET). Gabriel Donner has just lost both parents, and nearly his own life, in a tragic accident. And now he is experiencing something he just can't handle on his own: psychic dreams, dreams that often end up in the morning paper. In vivid detail Gabriel's dreams show him a series of murders — almost as if he were committing them. Telling the police is out of the question. They would never understand how he could know so much and not be guilty. Gabriel reluctantly turns to Laura Dane, a psychic, for answers. When Laura first comes to Oklahoma City, Gabriel doesn't trust her. But as she helps him — and as their relationship turns into something more — can they stop the visions, and the murders? To see more new paperback titles scheduled to be published this month, visit The Mystery Bookshelf for April 2015. For new hardcover mysteries, visit New Mysteries where for a list of April 2015 mysteries, novels of suspense, and thrillers is provided. Price: $1.99 (as of 04/30/2015 at 3:00 PM ET). Jessie Constable has learned the hard way to always keep herself safe. But meeting Gus King changes everything. Before she knows it, Jessie is sleeping at Gus's house, babysitting his kids, becoming a part of his family. And yet, she can't ignore the unsettling questions. Who does she keep seeing from the corner of her eye? Why are strange men threatening her? Most importantly, what really happened to Gus's wife? 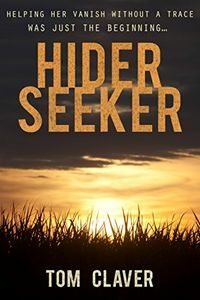 Charlie Henry, former Special Forces operative and newly minted pawnbroker, thinks that he's finally turned a corner and the calm, quiet life he's always wanted is just ahead. But life never really works out that way. A young Navajo man comes into Charlie's shop, FOB Pawn, claiming that his girlfriend mistakenly pawned a beautiful family heirloom, a turquoise necklace that she desperately needs back. When he's unable to produce any proof of this tale, Charlie is immediately suspicious and sticks by the golden pawnbroker rule: No claim ticket, no exchange. Then the young man returns with reinforcements — and guns — making it abundantly clear that there's more to this story than a family treasure. This necklace quickly becomes the focus of a case where everyone lies, and every question seems to answer with gunfire. With the help of his semi-estranged brother, Alfred, a tribal cop working undercover, Charlie quickly finds out that the pendant was the work of a Navajo silversmith who was recently murdered. And, in an act so taboo in Navajo culture as to be unthinkable, his grave dug up and this piece of jewelry removed. 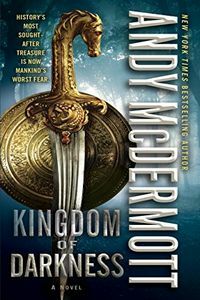 With multiple parties vying to get their hands on the necklace — for what ill-gotten gains, no one knows — it's up to Charlie and his comrades-in-arms to help find out who's really telling the truth, and uncover the mysteries that this heirloom holds. For a list of more new hardcover titles to be published this month, visit our New Mysteries page for April 2015. 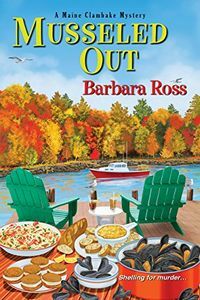 For new paperback mysteries, visit The Mystery Bookshelf where a selection of April 2015 mysteries, novels of suspense, and thrillers are shelved. 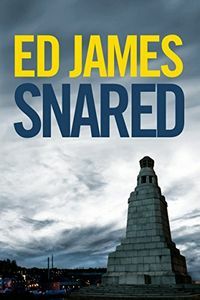 In Los Angeles, a desperate man seeks out renowned archaeologist Nina Wilde and her husband, ex — SAS soldier Eddie Chase — only to be gunned down in front of them. The assassin is soon identified as a ninety-year-old Nazi war criminal — with the body of a healthy forty-year-old. Following the victim's final warnings, Nina and Eddie travel to Cairo to inspect the newly discovered tomb of Alexander the Great. But the real find is hidden in one of its treasures — a mechanical guide leading to one of antiquity's most tantalizing myths: a spring of water said to give eternal life to those who drink it. Nina, Eddie, and a team of Mossad agents realize that the myth is real, and that a group of former SS men who have tasted this water are now hunting for its source. But before she and her alliance can act, Nina is kidnapped and spirited away to a secret Nazi enclave in Argentina, igniting a fierce, fateful, globe-spanning struggle in which her life hangs in the balance. All the while a terrifying possibility emerges — that the world's darkest evil could live on forever. Price: $2.99 (as of 04/30/2015 at 1:00 PM ET). Senator Cale Caldwell and his wife maintained a far-reaching and powerful grip on Capitol Hill society — but not powerful enough to save him from foul play. Despite his eminence and influence, the Senator's life is cut short in brutal fashion at a glamorous reception held in his honor, just two short years after tragedy struck the Caldwell family in the form of the unsolved murder of his niece. 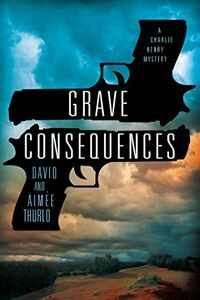 When attorney Lydia James suggests a connection between the two deaths, she's shut down, and fast. But who stands to benefit from the Caldwell's tragedies, and James' silence? The Senator's political rivals? The media? The Caldwells' closest allies? 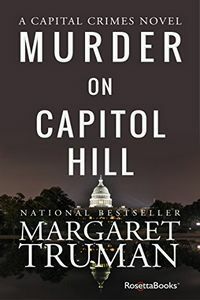 Working with a dizzying number of suspects and possible motives, James embarks on a hunt for the Caldwell killer amidst a web of Washington intrigue and political maneuvering that's sure to leave no stone unturned — or life unthreatened. Price: $3.99 (as of 04/30/2015 at 12:30 PM ET). 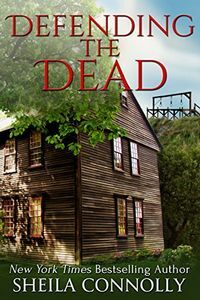 Abby Kimball has slowly accepted her recently discovered ability to see the dead, but none of the harmless sightings she's experienced could have prepared her for the startling apparition of a centuries-old courtroom scene — where she locks eyes with a wicked and gleeful accuser. Thrown back more than three hundred years, Abby realizes she's been plunged into a mystery that has fascinated people throughout American history: the Salem witch trials. 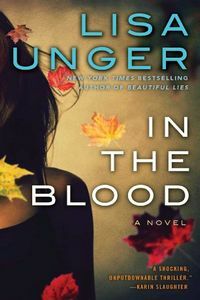 With her boyfriend Ned at her side, Abby digs into the history of the events, researching the people and possible causes of that terrible time and her own connection to them — all the while going more deeply into her connection to Ned, both extraordinary and romantic. As Abby witnesses more fragments from the events in Salem and struggles with the question of how such a nightmare could have come about, she's suddenly confronted with a pressing personal question: Were one or more of her ancestors among the accused? Unraveling the puzzling clues behind that question just might give Abby and Ned the answer to a very modern mystery of their own. See all three mysteries in the Relatively Dead Series for $3.99 each on Kindle. The winners for the 2015 Edgar Awards were announced last night by the Mystery Writers of America honoring the best in mystery fiction, non-fiction and television published or produced in 2014. We are delighted to welcome back J.L. Abramo to Omnimystery News. Last week we spoke with J.L. about his new Jake Diamond mystery Circling the Runway (Down & Out Books; April 2015 trade paperback and ebook formats), and we asked him if he would tell us more about why he chose this particular genre to write in. 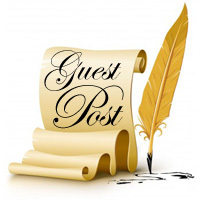 He titles his guest post for us today, "Why Crime?" 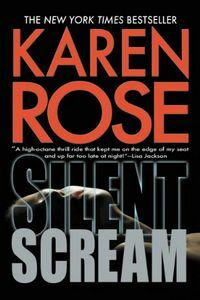 Crime fiction, film and television are extremely popular among readers and viewers worldwide. Fiction writers are often categorized, listed and known for their particular genre; be it crime, mystery, romance, horror, science fiction and so on. Genre is defined by Merriam-Webster as a category of artistic, musical, or literary composition characterized by a particular style, form, or content. And as stated by Joyce Carol Oates in The New York Review of Books, "In genre fiction there is an implied contract between writer and reader that justice of a kind will be exacted; 'good' may not always triumph over 'evil', but the distinction between the two must be honored." I have often been asked why I chose mystery and crime fiction as my literary genre. 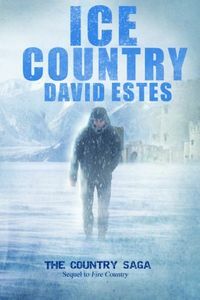 It might be more accurate to say that the genre chose me; and to add that a particular genre is simply the vehicle in which the writer journeys through the landscape he or she is compelled to explore. In my experience as a reader it is the theme and not the plot of a novel that carries universal and lasting impact; making the particular genre secondary to the thoughts and feelings which the writer is consciously or unconsciously driven to express. Crime and Punishment, Les Misérables, The Count of Monte Cristo are, on the surface, crime novels; classic literary works that greatly influenced generations of readers and future writers; not as a consequence of their genre, but for their examination of the trials and tribulations of the human experience. Similarly, the same holds for visual art and music. A timeless painting or a lasting musical composition is one that leaves a profound impression on the viewer or the listener; be it renaissance, religious, impressionist, avant-garde, symbolic, dada, classical, folk, country, blues, jazz or rock and roll. That being said, the selection of crime fiction as my vehicle of choice was a consequence of my exposure to literary works which examined crime and its ramifications and which greatly influenced me as a young man and adult; Dostoyevsky, Arthur Conan Doyle, Raymond Chandler, Dashiell Hammett, Jim Thompson. And by exposure to films like The Big Sleep, The Maltese Falcon, On The Waterfront, Anatomy of a Murder, Witness for the Prosecution, The French Connection, The Godfather and countless others. In the first Jake Diamond novel, Catching Water in a Net, I found I was redefining my interpretation of the responsibilities of friendship. In Chasing Charlie Chan, I did what only God and the novelist can do, bringing a character back to life, by turning back the clock, to tell his untold story. In the novel, Gravesend, I employed the crime fiction genre to revisit the Brooklyn neighborhood of my youth. For as T.S. Eliot said: "We shall not cease from exploration and the end of all our exploring will be to arrive where we started and know the place for the first time." So, the question arises. Are we, practitioners of the written word and members of professional guilds like the Mystery Writers of America and the International Thriller Writers, novelists or crime novelists. And the simple answer is we are writers, willing to use any means of transport which will help us tell our tale and help attract the attention of potential followers. J.L. Abramo was born in Brooklyn on Raymond Chandler's fifty-ninth birthday. Abramo earned a BA in Sociology at the City College of New York and a Masters in Social Psychology at the University of Cincinnati. His first Jake Diamond mystery, Catching Water in a Net, was the winner of the St. Martin's Press/Private Eye Writers of America prize for Best First Private Eye Novel. J.L. lives in Denver, Colorado. For more information about the author, please visit his website at JLAbramo.com, or find him on Facebook and Twitter. Private Investigator Jacob Diamond and San Francisco Detective Sergeant Roxton Johnson are famous for not getting along. Cats and dogs. Oil and water. Liston and Ali. Jake and Rocky. If the mismatched duo can avoid stepping on each other's toes long enough — they may be able to stop circling the runway and land on the villain's doorstep. 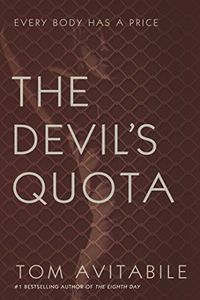 The devil is in the details when the one percent gets what the one percent wants … no matter what, no matter how much or how legal. NYPD Detective Mike DiMaggio is catapulted into an international conspiracy when the details of a not-so-routine murder investigation get his partner killed and him fired. His suspicion that Cassandra Cassidy, a sexual behavioral psychiatrist right out of the society pages, is somehow connected to this syndicate proves to be dangerous. It sets him on a journey that soon has him pitted against the most powerful forces in this country and around the world. 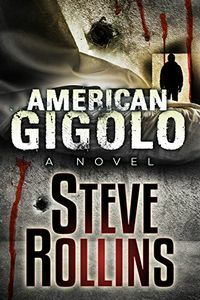 Meanwhile, one victim of this international treachery, special forces operative Master Sergeant Eric Ronson, abandons his unit and is hell-bent on protecting Setara, the Afghan girl he loves, from its evil grip. He's an army of one, and soon his rescue mission crosses international datelines and crosses paths with Detective DiMaggio. None of this is good for the fat cat power brokers and inhuman traffickers who will soon learn the high cost of satisfying the Devil's Quota. 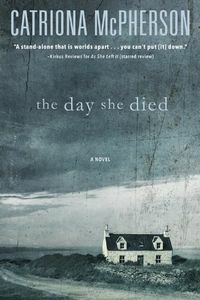 College senior Lana Granger has told so many lies about her past that the truth seems like a distant, cloudy nightmare. But she meets her match when she begins babysitting for a volatile, manipulative eleven-year-old boy. 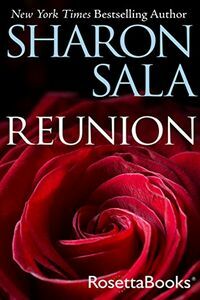 Soon after Lana takes the job, her close friend Beck mysteriously disappears. Lana instantly begins fabricating stories — to friends, to police, to herself. Why doesn't her account jibe with those of eye-witnesses? Lana will do anything to bury the truth about that night … and about her life. But someone else knows her secrets. And he's dying to tell.